Sometimes, it seems like achieving financial independence (aka, FI) is the only thing that matters. You take a hard look at your finances and find every piece of fat you can cut. For a while, it may not seem like a big deal. After all, you’re working toward FI which is the ultimate freedom. However, after a few months or years of living at the bare bone minimum, it can get to you. 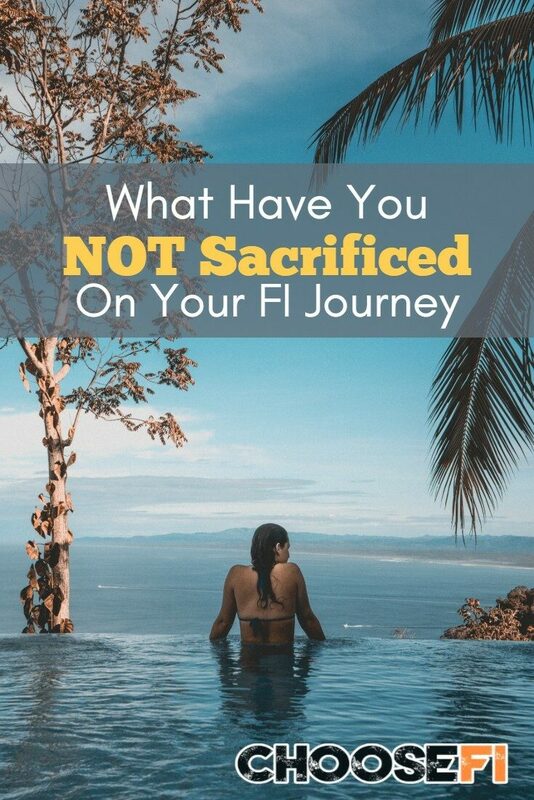 So, today, rather than focus on every little thing people have cut out of their lives to achieve FI faster, I thought it’d be fun to take a look at the things Choose FI Facebook group members have decided weren’t worth sacrificing on their journey to FI. In a way, it’s a fun exercise to see what other people working toward FI value most. Ultimately, it’s up to you to decide what’s worth cutting and what isn’t worth cutting. The answer will vary from person to person based on their values, likes, and dislikes. 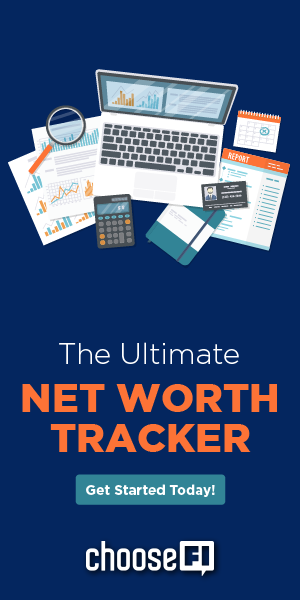 This list should give you a good idea of what expenses to consider keeping around and which expenses you should ditch for good based on your reaction to each item. Travel and vacations were one of the most mentioned things that people weren’t willing to give up. While some people did decide to give up international travel, others continue to travel internationally. Regardless of whether you want to travel domestically or internationally, you can use travel rewards to help pay for your vacations. 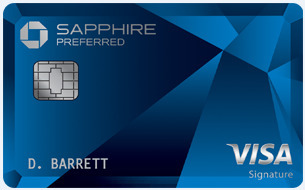 Just make sure you don’t rack up credit card debt. Some people value their expensive gym or CrossFit memberships so much they’re not willing to give them up to achieve FI faster. As long as people use their gym memberships, they’re usually a good thing. After all, living a healthy lifestyle that includes exercise can help you live a longer life which gives you even more time to enjoy your financial independence. Similar to CrossFit or gym memberships, quality food is key to living a healthy lifestyle. While there are ways to save on food costs, giving up quality isn’t an option for many Choose FI members. Related: Frugal Vs Cheap: Where Do You Draw The Line? For some, a home is one of the most important things you can spend money on. For others, it’s just a place to stay out of the elements. For many Choose FI members, homes were one thing they weren’t willing to give up. Sometimes it boiled down to being in a good school district for their children. Others decided cheaper housing wasn’t worth living in a less safe neighborhood. Most people working toward financial independence aren’t car enthusiasts. That said, even some car enthusiasts get bitten by the FI bug. These members strongly believe you don’t have to drive a beater just because you’re working toward FI. Instead, some Choose FI Facebook group members drive their dream cars but sacrifice other expenses to make up for it. Cable TV isn’t terribly expensive, but there isn’t much point in paying for it if you don’t watch much TV. A few Choose FI Facebook group members keep this relatively cheap entertainment option as a part of their budget. While I’m not a fan of coffee, beer or wine, Choose FI Facebook group members love these drinks. If there is a drink you love, you should enjoy it. As always, the key is moderation. Outsourcing housework that drives you crazy can be well worth the money. For instance, one person said a $200 per month housekeeper saves their marriage. Others hate lawn care and other landscaping tasks and outsource those. Some people don’t understand why others have pets. However, those of us that have pets know they’re part of the family. I could never give up a family member because they were expensive. Neither could Choose FI Facebook group members. In an effort to secure our own financial freedom, some people forget to continue helping others that are in need or less fortunate. Thankfully, not everyone falls into this trap and some people say they refused to sacrifice giving, donations and tithing. Kids are an important part of our lives so it isn’t a surprise that many wouldn’t sacrifice when it comes to kids activities. The level of not sacrificing varied per person. Some wouldn’t give up sports activities, while others wouldn’t give up sleep-away camps. It’s up to you where you draw the line. If you want your kids to experience everything they can, you can make that happen if you give up other expenses or earn a high enough income. Last but not least, quite a few Choose FI Facebook group members said they wouldn’t cheap out when it comes to toilet paper. My wife wasn’t surprised and totally agreed. What expenses were you not willing to give up on your path to FI? Were any of them listed above? Or were the things you wouldn’t sacrifice different than the majority of Choose FI Facebook group members? Good, quality food. Not from a restaurant, but from the grocery store. That is one line item that we have left “fat” – groceries. For us, we would much rather cut our eating out budget in half and use that money to purchase the expensive “organic” ingredients at the grocery store. We only purchase organic fruits and vegetables if they are inside the dirty dozen. Oh, and we have a dog. They aren’t cheap either… but I’m not giving him up 🙂 Great article! On the income side, I have sacrificed higher paid jobs in exchange for roles with more purpose.